Saturday Night Live and theatre shows for children might seem to be at the opposite ends of the performance spectrum - can you picture what Dan Aykroyd and John Belushi might have come up with in front of youngsters? - yet they spring from the same performance philosophies and ideas developed in Illinois in the 1920s. 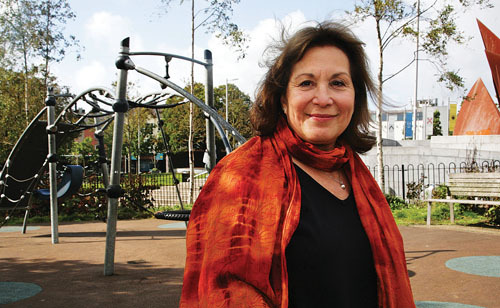 The teachings and techniques of like Winifred Mary Ward and Viola Spolin would have a profound effect on both American comic actors and children’s theatre, and among those inspired by such ideas was Lali Morris who is today the programme director of Galway’s Baboró International Arts Festival for Children. It is also not surprising that in the capital of US film, theatre barely got a look in at this stage in her life, indeed she admits to never having “seen a play until I was in college”. College proved to be a turning point for Lali, setting her on the course to involvement with drama and theatre for children, although it came about in a rather accidental way. “I went to teacher training college in Illinois where I specialised in theatre and drama for young people and children and that was accidental as there was nothing else on offer,” she laughs. Yet through this Lali found her calling and it was appropriate she should discover a passion for creating and being involved in arts events for young given that Evanston is the “home of children’s theatre” in the USA, with the founding of The Children’s Theatre of Evanston by Winifred Mary Ward in the 1920s. Another major inspiration to Lali and her classmates was Chicago’s The Second City, a long-running comedy enterprise, and Viola Spolin, whose innovative ideas on theatre training and improvisation have been massively influential. Lali’s association with Galway goes back many years, her husband is Galway artist Ted Turton, and she has worked with the Galway Arts Festival on a number of occasions, such as holding workshops for teenagers at the 1995 festival and directing a series of short plays with children in 1996. In the late 1990s she was invited to be part of a committee to develop a children’s arts festival. These discussions eventually led to the creation of the Baboró International Arts Festival for Children in 1997, and in 2001 Lali became its programme director. The 2011 Baboró festival is the biggest and most ambitious to date. It feature more public performances than before, some new strands, and will also feature shows outside Galway city. “The festival has progressed step by step, gradually gaining momentum,” says Lali. “It has been carefully planned. I am proud of the fact that we have been cautious and responsible. Baboró would not be able to exist in any other city in Ireland as there is an amazing support system from the public, schools, artists, and the press. One of the main events at this year’s festival will be the opening event Priceless! on Sunday October 16 from 2pm to 5pm on Quay Street. “Children and families will see a long dining table in the middle of Quay Street,” says Lali. “Everything will be covered in white paper and markers will be handed out to everyone and they will be asked to write on the paper what is most priceless to them and everyone can go around and read what others have written. A noticeable and welcome element of Baboró 2011 is events specifically for young people (10 to 17 ), such as the breakdance and b-boy dance show White Caps (ages 10 to 14+ ) and readings and school visits by young adult fiction author Melvin Burgess, who will also provide a Writers Presentation for teenagers at Jigsaw in Fairgreen House. Does Lali feel there is a real lack of arts events aimed at teenagers that arts organisations and venues in both Galway and Ireland need to address? “I feel they are the forgotten audience,” says Lali. “One of the reasons that can happen is that they can be difficult to get into the shows, but they are interested. In Baboró, a lot of kids have grown up with us, coming to the festival, and suddenly when they get to the early teens, to drop them and forget about them as they are a bit older feels irresponsible. Baboró will also be saluting the work of youngsters, parents, and teachers who have made a real effort to give the arts and creativity a prominent place in their everyday lives. The first recipient of the new Above and Beyond Award will be Kilcoona National School in Headford. Sometimes in Galway city there can be a tendency to see the city as the ‘be all and end all’ of things and forget that Galway is also a county and the second biggest in Ireland. As a result Baboró is expanding outside the city and will host two shows in the Mall Theatre in Tuam - Red Riding hood (October 19, 20 ) and Ich Sehe Was... (October 21, 22 ). With Baboró just a month away, is there one show in particular that Lali is most looking forward to? Her answer is immediate - Globe, a dance and music show, featuring dance styles and musical form from different nations, created by Robbie Harris and Dave McFarlane. It runs at Seapoint Ballroom on October 22 and 23. Page generated in 0.2270 seconds.